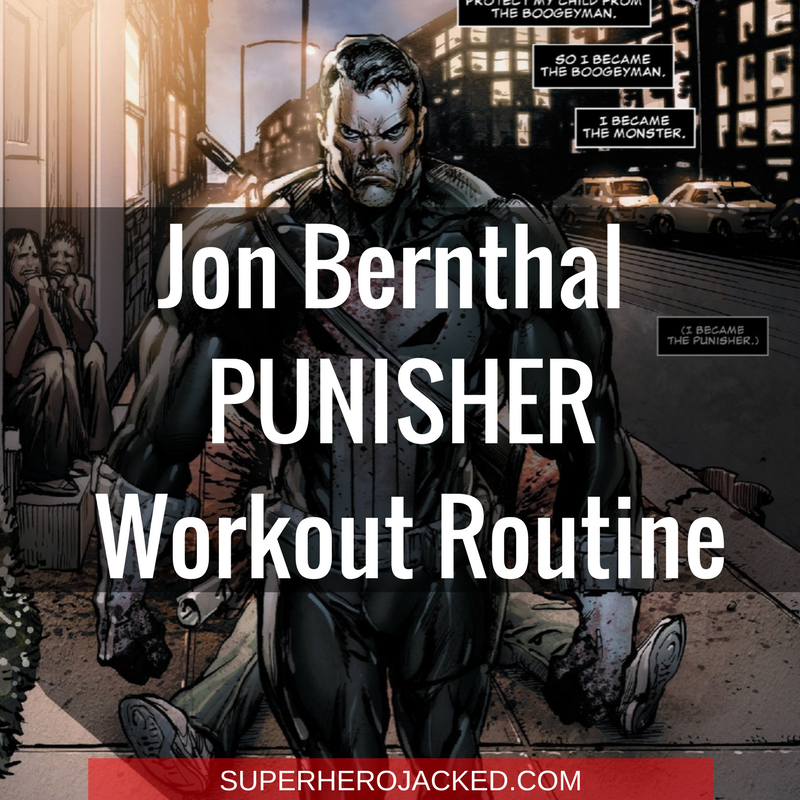 While I cannot freakin’ wait for the upcoming Iron Fist with Finn Jones, I already have the same anticipation building for Jon Bernthal to star in his solo Punisher series. Not to take away from his awesome performance in Daredevil Season 2, but heck, can’t a guy be excited? And….I’m officially motivated to workout. 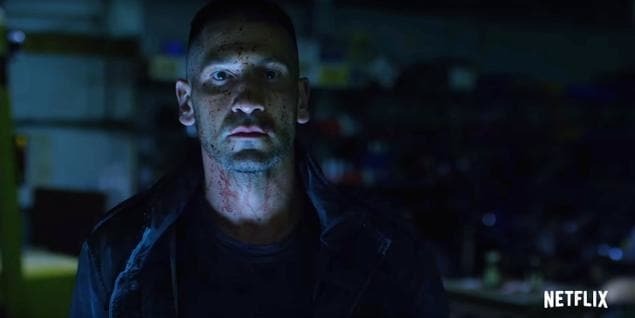 We’ve seen some badass scenes from his fellow Netflix Marvel heroes Charlie Cox (Daredevil) and Mike Colter (Luke Cage) as well, but the fights seem to get better and better as Marvel and Netflix put these series together. 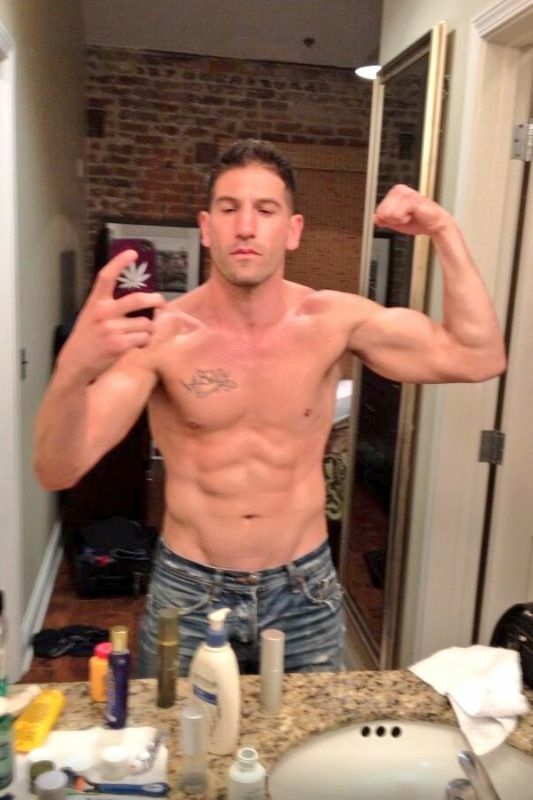 Let’s go over some Jon Bernthal stats to get started with this. Alright, so he’s right in the average height range. I can dig it because we see a ton of monsters like Dwayne Johnson, Jason Momoa (Aquaman), and Chris Hemsworth (Thor, duh!) on one side of things, and then also a lot of shorties like myself, Zac Efron, Tom Holland (Spider-Man), and Kit Harington (Jon Snow)! So, he’s a nice happy middle-ground for you average height fellows. Other average (normal) height fellahs, unlike myself, are Brad Pitt, Chris Evans, and Matt Damon, if you’re interested! he just makes sure he focuses on healthy eating most of the time and includes some time in the gym each week. It’s nothing extreme, just a plain-old healthy lifestyle. 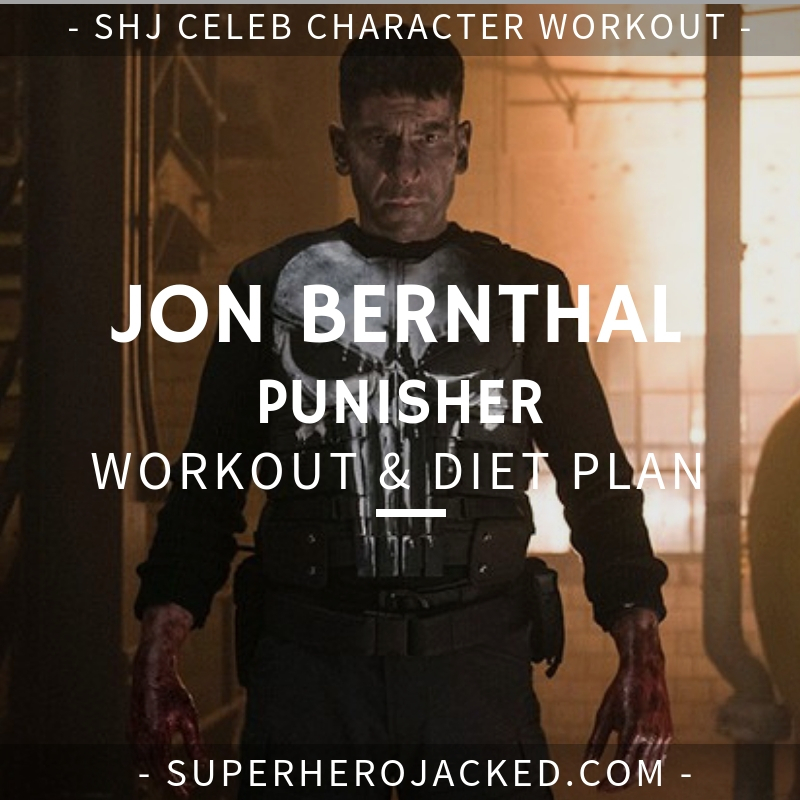 You can bet things like chicken breast and other lean proteins are dietary staples for Bernthal, while whole grains, green veggies, fruits and healthy fats keep him fueled-up for his filming sessions. Hm. I can dig it Jon, I can dig it. The Nutrition Pillars follows similar guidelines, as far as eating “healthy” goes, because we mainly strive for a diet that is sustainable. A diet is strictly what we habitually eat, so if we’re not forming habits that we can sustain, what’s the point!? His diet kind of sounds like something that might reflect a kind of paleo or mediterranean diet, but he is also quite lean, so I wouldn’t stray away from the intermittent fasting we utilize at SHJ. But, we’ll get into the punishing workout routine research. 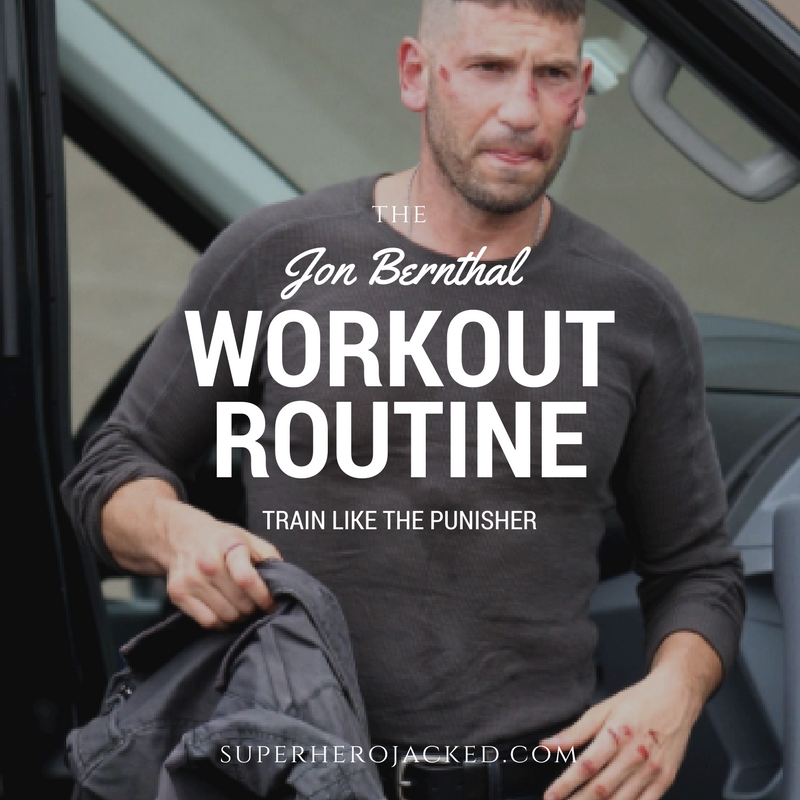 How is your training regime for Frank Castle now? I know you’ve always been pretty disciplined about it. It’s pretty all-encompassing, man. I’m on it pretty hard. 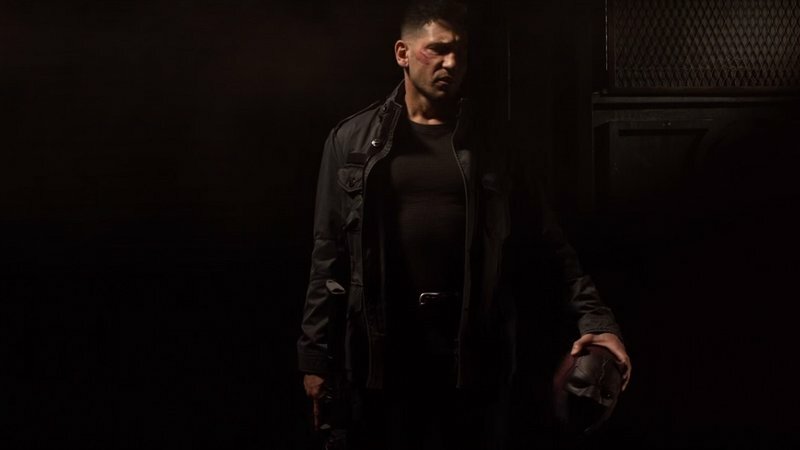 If you’re playing a character like Frank Castle, it may not necessarily be all about aesthetics, but he needs to look a certain way. For me the training is more about being able to hang when it comes to doing the fight or combat scenes. I think it is important to be able to keep up with the character in a lot of ways. I wanted to learn as much as I can. Usually we’ll start with a little strength work, whether it is taking on squats or the bench press, doing five sets of three at the maximum weight. There’s a lot of supersetting, and bodybuilding weight practices. Then we work on a lot of MetCon [metabolic conditioning], doing as many rounds as we can, trying to get each movement just right. It will usually be about five or six full-body moves, like pull-ups or cleans. We’ll do that for somewhere around 20 minutes or so. Then in the afternoon we’ll do boxing or jiu jitsu workouts between scenes. I always want to box, but they really try to keep me working my whole body as much as possible. On top of that, learning the fights for the show or weapons training is almost a whole other workout on top of that. So it probably works out to three separate big, different workouts a day. It’s pretty gnarly. Gnarly pretty much sums it up, Jon! Hmm, but this is beginning to sound pretty similar to the new Fighters Path (aka Deadpool / Harley) we have in The Superhero Academy with Coach Derek Mellino! While we can’t be expected to train 2-3 times everyday, we can be expected to be active and get a killer workout in daily. This is really a 5 day routine, but can be broken down and utilized as four if that’s all you can make time for. The day to cut would be day three, but, obviously, the more days and time you put into it, the better results you’ll get.